We fully understand your need to outsource your business processes, especially those related to IT. Based on the fact that we had offices in four European cities, we could offer you a high level of flexibility and availability in every aspect. Relatively close proximity allows for less expensive travel, a greater degree of control and timely decision-making in critical situations. At the same time, we have a particulary highly skilled team for nearshoring that possesses huge experience in this model of collaboration and communication. Being a partner with numerous companies from Western Europe, particulary those from Austria, Germany, Switzerland and Scandinavian countries, we could easily reduce time lag between the parties, discrepancies in local employment laws and practices, and oversight. We are in GMT+1 time zone, which means 1-3 hours flight time from almost all of the European capitals. Our employees belong to the nations that are members of European business culture on a daily basis. Furthermore, level of their English language is pretty high. Our expertise includes, but is not limited to: web development, IT consulting, mobile development, web design, IT infrastructure management, technical support, web hosting and digital marketing. Jelena is in charge of executing daily operations for the FSD. 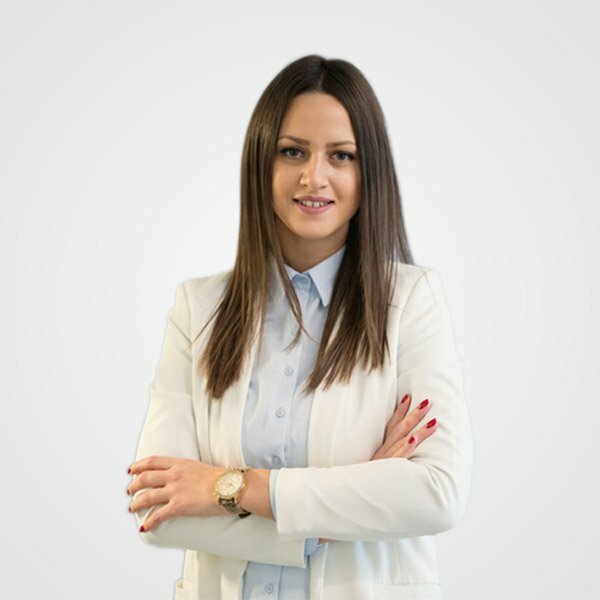 She fosters employee alignment with corporate goals, communicates strategy and policy to employees, middle managers and team leaders to ensure that processes, training, and quality of output of our products and services reflect these standards. She has strong leadership skills as well as the ability to approach situations from a creative point of view. Before taking the role of COO, she was an IT Project Manager in charge of CRM software development. Message Sent! Jelena will respond shortly after your message is reviewed.